The 10871 provides a 9-pin male connector on one end and a 25-pin female connector on the other end. 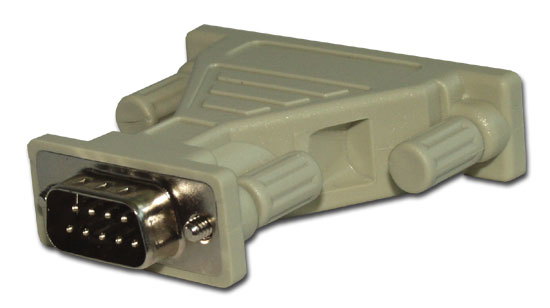 Typically, this serial adapter is used to connect the data logger's 9-pin RS-232 port to a PC's 25-pin RS-232 port. As the interface is rigid, either a 25-pin to 25-pin or a 9-pin to 9-pin cable is generally used to complete the connection between the data logger and computer's serial ports. The 10871 was supplied with the now retired PST3 and PST8 systems.